Dr Winkel is a member of the Editorial Advisory Board of Australian Prescriber and also Past President of The Australasian College of Tropical Medicine (www.tropmed.org). He is an alumnus of the University of Melbourne (Walter and Eliza Hall Institute), the University of Queensland (Tropical Health Program) and the Swiss Tropical Institute (Basel). 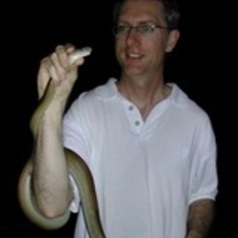 His has been involved in envenomation research in the Asia-Pacific and he has published over 100 papers and book chapters and is a co-editor of the first book on Venomous Bites and Stings in Papua New Guinea. He has been a member of the Irukandji Research Working Group of the Queensland Government Irukandji Jellyfish Response Taskforce [now the Marine Stinger Taskforce] since it's inception in 2002. He was awarded the Vita Lampada Medal for Excellence in Medical and Health Education, from the Royal Children's Hospital and Health Service District, Brisbane, Queensland in June 2005. In July 2007 he was awarded the Medal for Outstanding Contribution to Tropical Medicine from the Australasian College of Tropical Medicine. In September 2009 he was appointed as a Honorary Consultant to the World Health Organisation's 11th revision of the International Classification of Disease.